With the call of "S.P.D. Emergency! 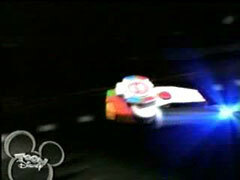 ", and the press of a button, the Delta Morpher allows the B Squad to transform into Rangers. 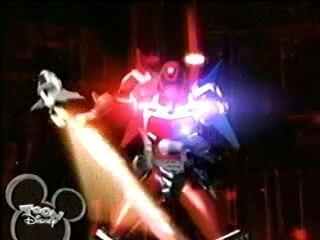 The Delta Morpher acts as a judgement scanner and a communicator, and can also access the Zords. 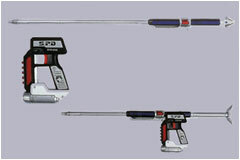 This common Ranger weapon resides at the side inside its holster in laser mode. 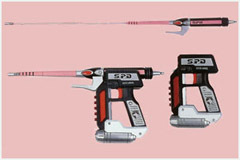 The Deltamax Strikers are highly versitile and can be used for both short and long range attacks. 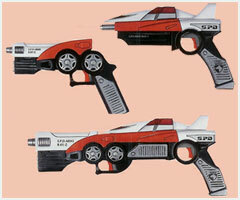 The Delta Blasters are twin sidearms specific for the Red Ranger. They can be used to fire intense laser blasts. 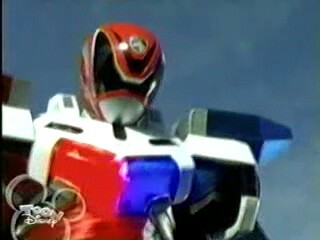 Containment Cuffs are issued to every Ranger to help them in bringing in a convicted criminal. R.I.C. 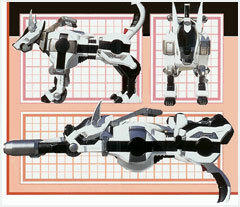 can be converted in the Caninie Cannon - a weapon, which fires a powerful blast of energy to take down criminals. 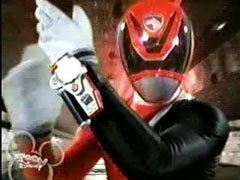 The Patrol Morpher is the morpher of the Shadow Ranger. 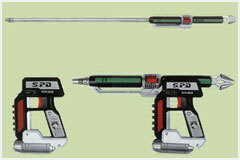 It also acts as a judgement scanner and a communicator. 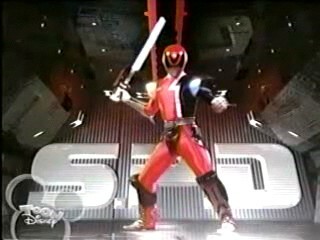 The Shadow Saber is the weapon of the Shadow Ranger, which can be very helpful in defeating multiple foes. 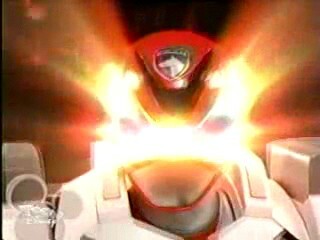 The Omega Morpher is the morpher of the Omega Ranger. 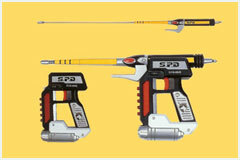 It is equipped with a throttle adjustment to give the Omega Ranger super fast arm movements. The Kat Morpher is Kat's own personal morphing device that has a life of only an hour. 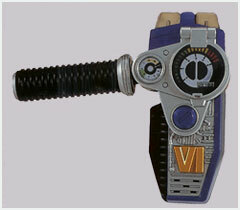 The Nova Morpher is the personal morphing device of the Nova Ranger. 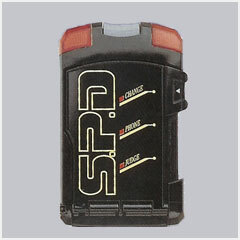 It is created with the same futuristic technology and throttle as the Omega Morpher. R.I.C. 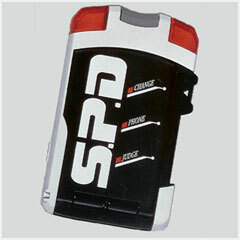 releases the Battlized Morpher, which the Red Ranger uses to activate the S.P.D. 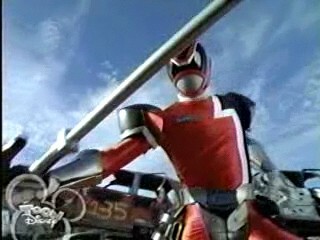 Battlizer. As Jack begins to develop as the leader of B-Squad, the Rangers must face six of the most powerful monsters they had already contained. When Morgana leads them in a battle that overwhelms the team, this is the perfect time for Jack to initialize the new S.P.D. 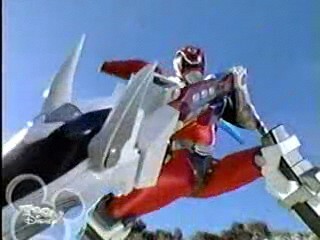 Battlizer. Kat and Boom upgraded R.I.C. 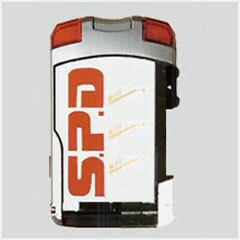 to transform into the S.P.D. 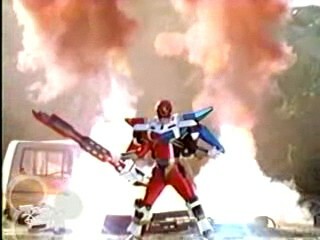 Battlizer, which has two modes. 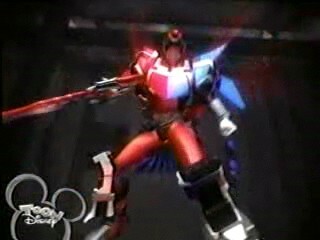 Cyber Mode is a more agile design, which equipts the Red Ranger with a sword and enhanced fighting agility. Sonic Mode uses R.I.C. 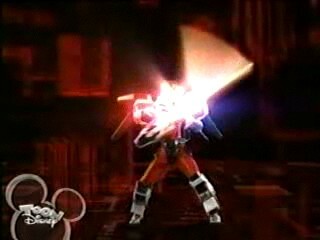 completely as an armor giving him a rocket pack, siren lasers, and a flaming sword with intense fire power.